Saltwater resistant with strong adhesion. Engineered to take on harsh environments. Strong adhesion designed to adhere to various materials. UV, weather and saltwater resistant providing id longevity. resistant to many solvents and cleaning agents. Unaffected by temperature variations -40°C to +150°C. Applications: extreme outdoor environments. ideal for asset management id for tools and equipment used in marine and harsh environments. Labelling drums, containers, cleaning buckets, hoses and safety signage. 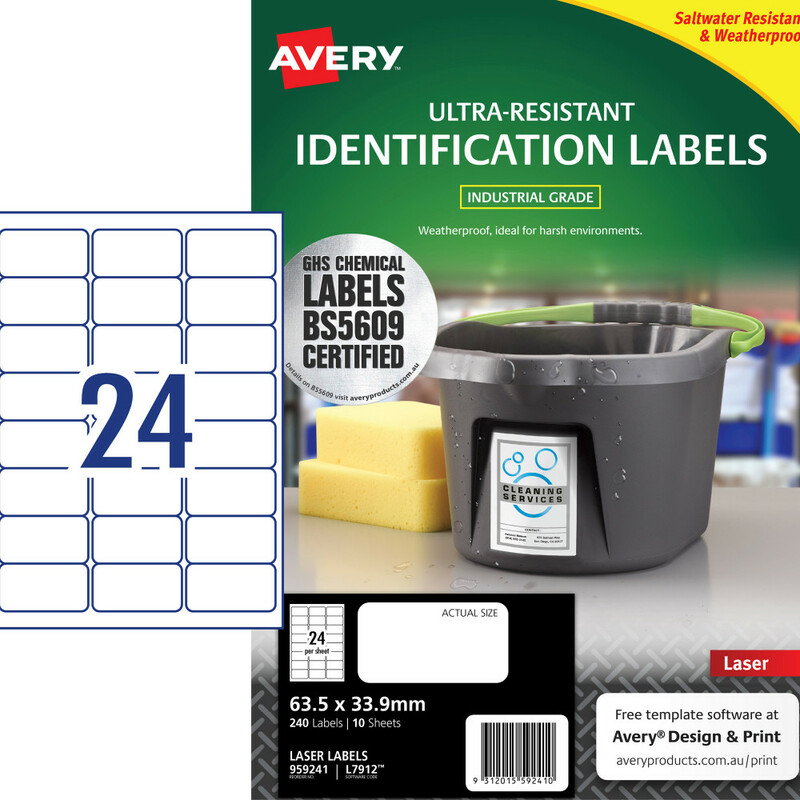 Sheet size: A4 available in multiple label sizes. Laser printable.